International Rescue – who’s coming back unscathed? Along with Danny Welbeck’s five minute cameo for England and the surrounding controversy, some other Arsenal players were involved in action for their national sides. 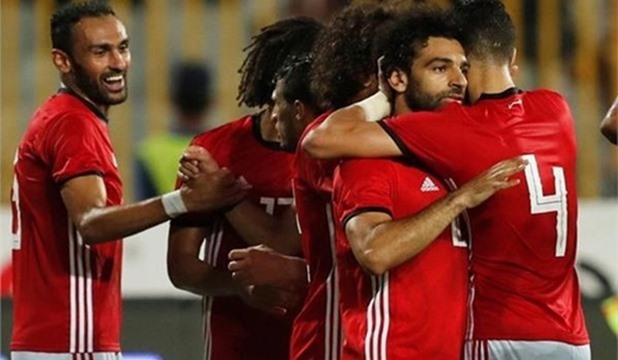 Mo Elneny had a leisurely run out for Egypt in a 6-0 win against Niger in their opening African Nations Cup qualifier. He even managed to pop up with the final goal of the six, which apparently bounced off the keeper into the net. Sounds a cracker! Difficult to find a photo of Mo playing but they might be his dreads in the background! 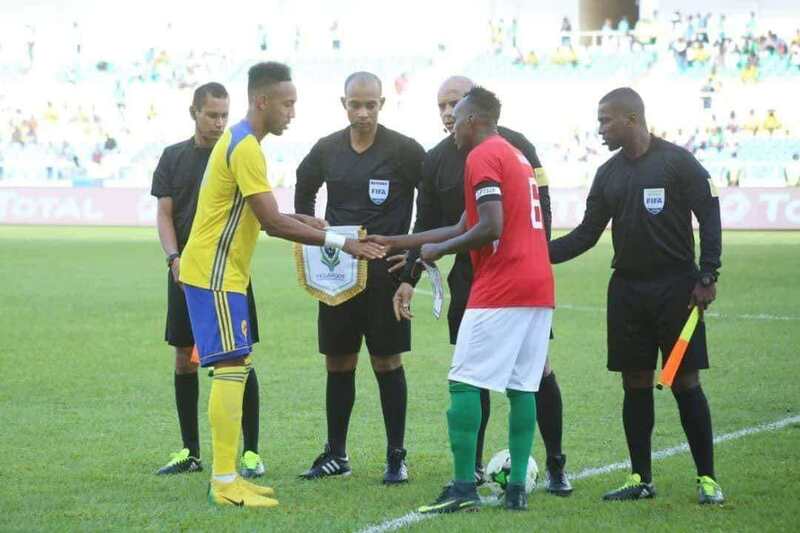 Pierre Emerick Aubameyang equalised against Burundi, thus salvaging a draw for Gabon in more African Cup action. Auba also captained the side. Granit played the full ninety for Switzerland as they cruised past Iceland on Saturday. Granit was booked – Quelle Surprise! Stephan Lichtsteiner didn’t even appear to be on the bench????? Sokratis Papastathopoulos also played the full match in Greece’s sparkling 1-0 win over Estonia. 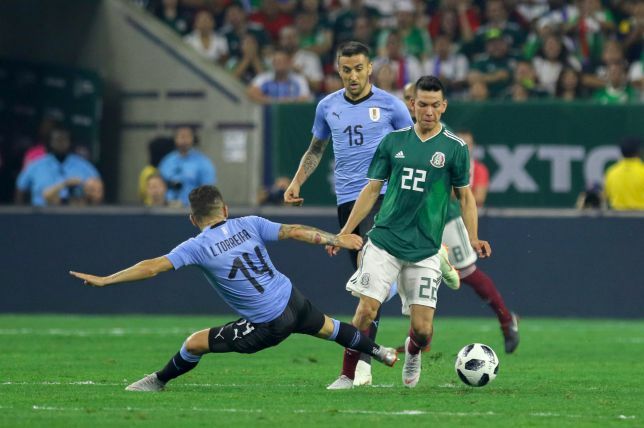 Lucas Torreira was substituted at half time playing for Uruguay versus Mexico and apparently had ice applied to his calf during the second half. Cosmic. Rambo lost with Wales to a couple of spawny efforts from Eriksen. Henrikh Mkhitaryan also lost in Armenia’s 2-0 defeat at the hands of Macedonia. Granit, Stephan and Danny could feature in the tedious England Switzerland friendly at Wembley. Sokratis will again have the chance to hone his skills against Hungary in one of the group C games of the UEFA Nations Cup. This entry was posted on Monday, September 10th, 2018 at 9:24 am and is filed under Uncategorized. You can follow any responses to this entry through the RSS 2.0 feed. You can leave a response, or trackback from your own site. 28 Responses to International Rescue – who’s coming back unscathed? Cracking goal by Mo Elneny. True skill, thoroughly deserved, shot against the defender to fool GK. Well done Mo! Did you do what we asked and crock that other Mo? Strangely enough no French players from AFC in the French squad since Giroud’s departure and Koscielny’s injury. Lacazette may push but it wil be hard to break into the group. As for Kos, he is now facing big competition from Varane-Umtiti and Kimpembe. There is one spot left to take (Rami’s) and the competiotion is firece with Laporte and even Zouma, Sakho so not sure we will see Kos. I would even advise him to come for a friendly game (Deschamps will invite him) and then retire right away. I think Lacazette will have a chance if Giroud retired. I also think that Benzema could make a surprise return to the squad. Coman and Martial are competing against Fekir and Thauvin so they may have a chance. But what if he had a calf niggle from the World Cup and that’s why he was being eased back into action slowly by Emery? Interesting analysis of the French squad, ta. Did you see Umtiti the other night? Is this similar to what Auba and Laca do? Not sure I like it much! The squad at the moment is looking relative strong but I still believe that Pavard and Hernandez are yet to be top class FBs and that Umtiti is a liability. That said, we can’t really complain given that we have some decent players in the pipeline as well. No Nilesy (Cons) or Chambo ? Shall I add some photos to the Theo one? Depending on who replaces Deschamps. Benzema is a classy player that can play as 9 or as 10. He can be Griezzman’s substitute. Lemar, Fekir and Thauvin are ahead but imagine Zidane comes to coach the French squad soon, Benzema will come back. I would take Benzema ahead of Thauvin any day. I was just looking through the Uruguayan sports pages trying to find out a bit more about Torriera’s injury (couldn’t find anything) But discovered that there is a place and a team called Liverpool in their Division 1 which was a bit strange. Above them in the league were Wanderers. Peñerol are top which sounds a bit more South American. Funny what you find out, in an average day. Interesting, Guendouzi used to play as a striker, so there could be goals in him which if there are they would really elevate him.